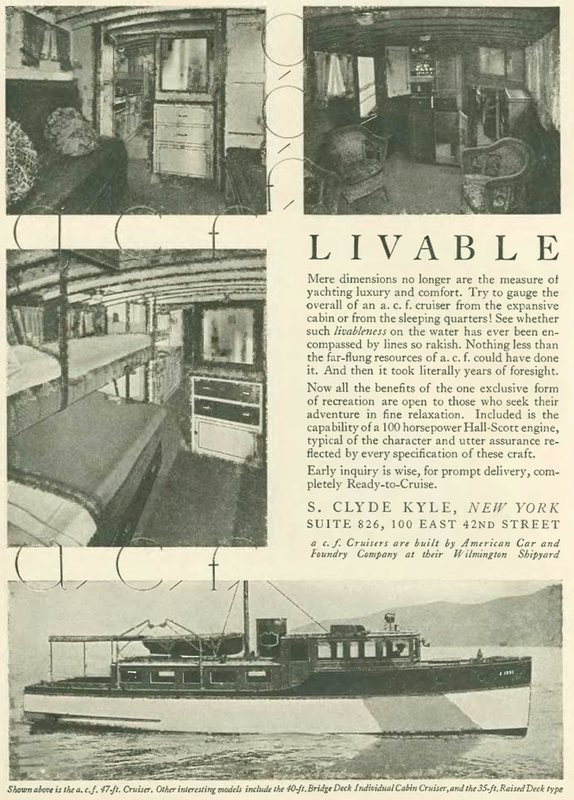 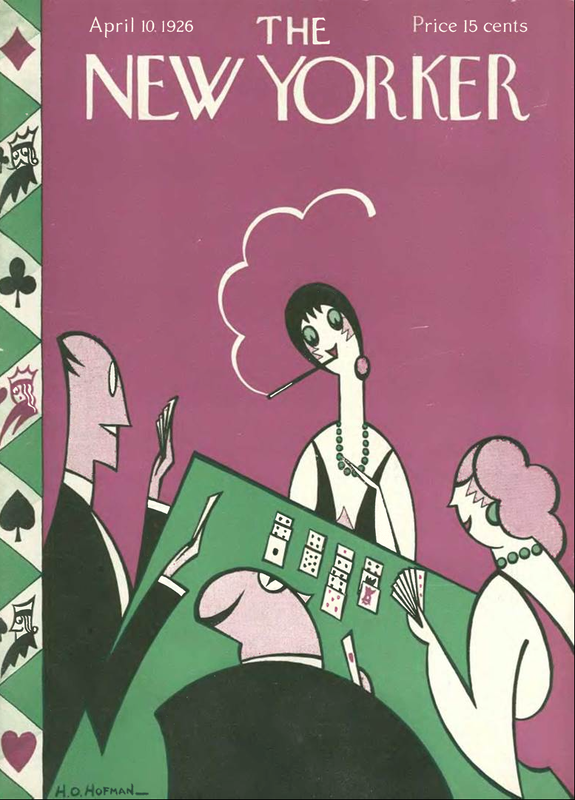 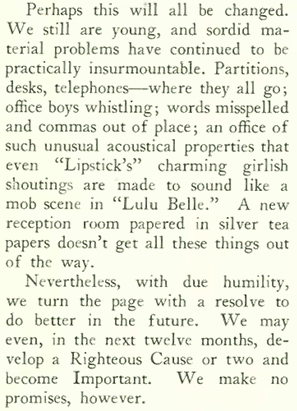 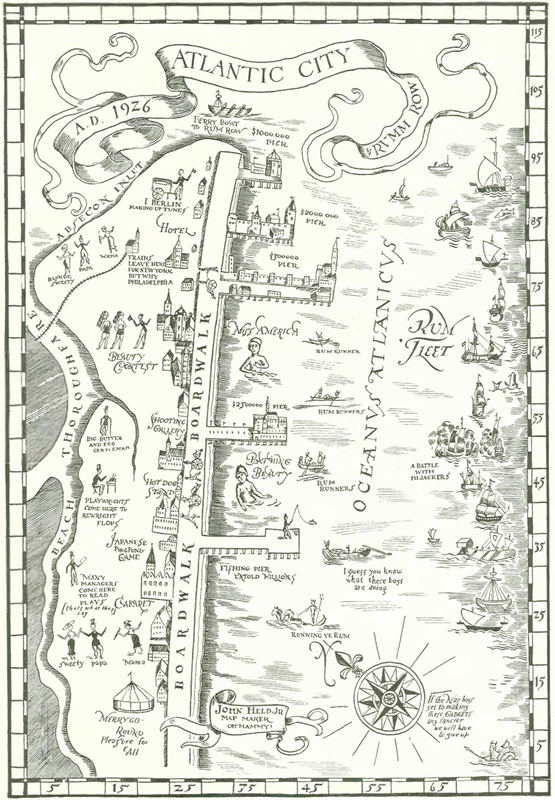 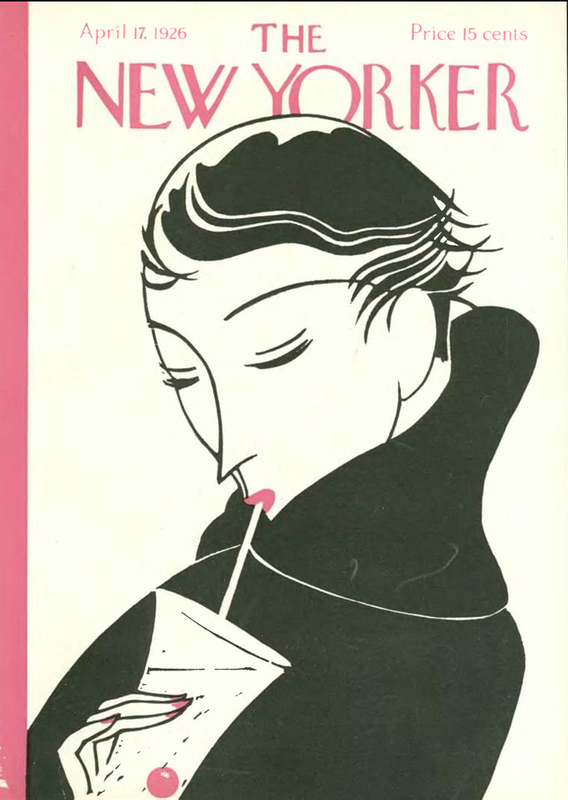 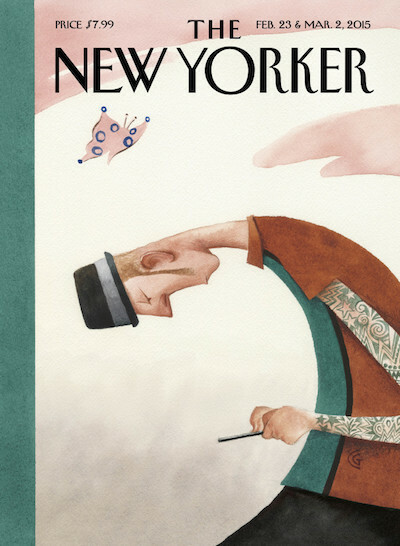 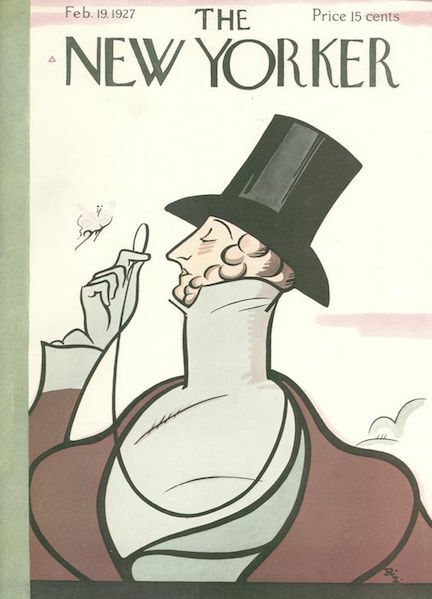 The New Yorker celebrated its 2nd anniversary by once again using the Rea Irvin cover from its first issue, which depicted a dandified character–soon to be dubbed “Eustace Tilley”–that would become a mascot of sorts for the magazine. 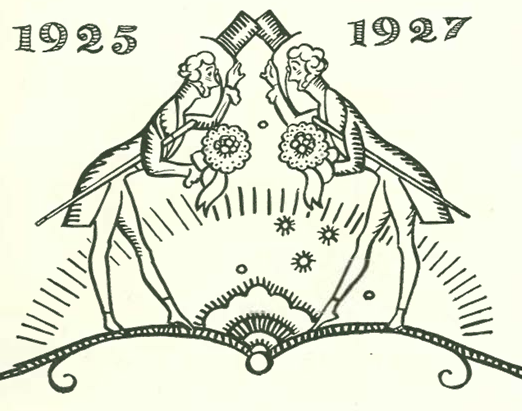 February 19, 1927: 2nd anniversary issue cover by Rea Irvin. 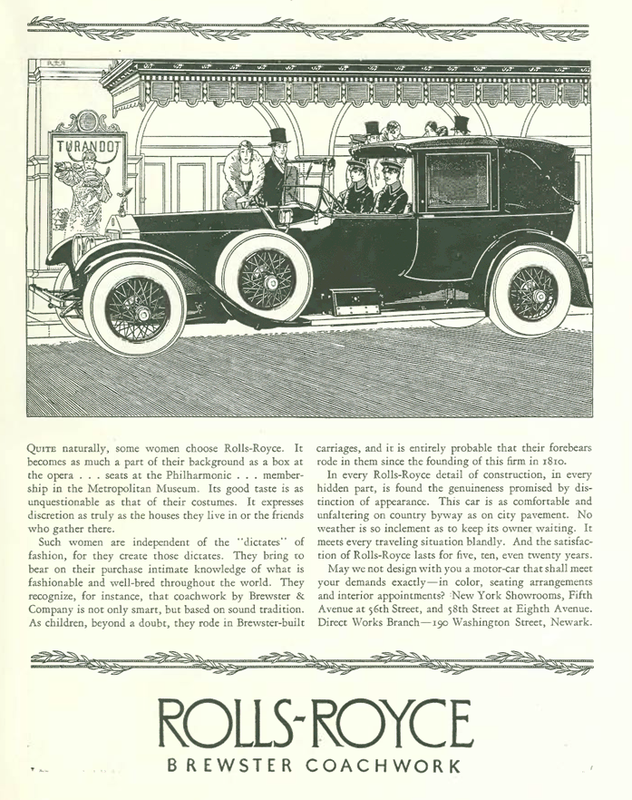 Most of us have heard of vaudeville teams like the Marx Brothers and Laurel & Hardy, but there were many others who drew big audiences but are mostly forgotten today, including the trio of Clayton, Jackson and Durante. 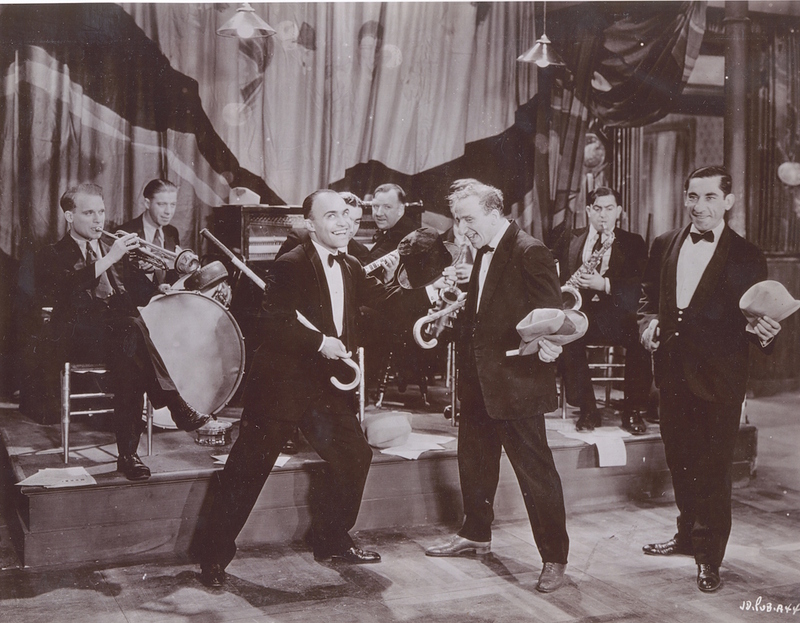 Of the three, Jimmy Durante would go on to the greatest fame. 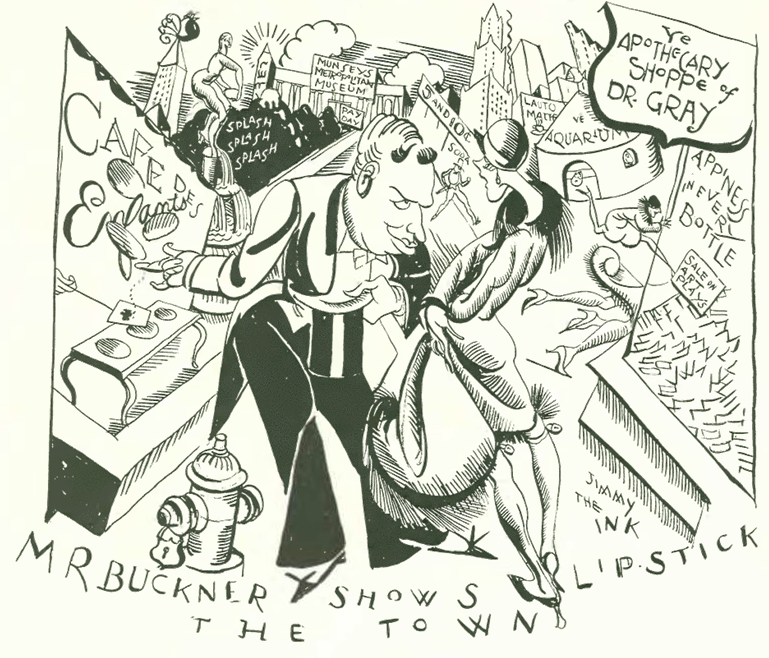 Known for his gravelly voice, clever wordplay and his prominent nose (which he dubbed “the Schnozzola”), Durante would find great success in radio, film, and in early television. 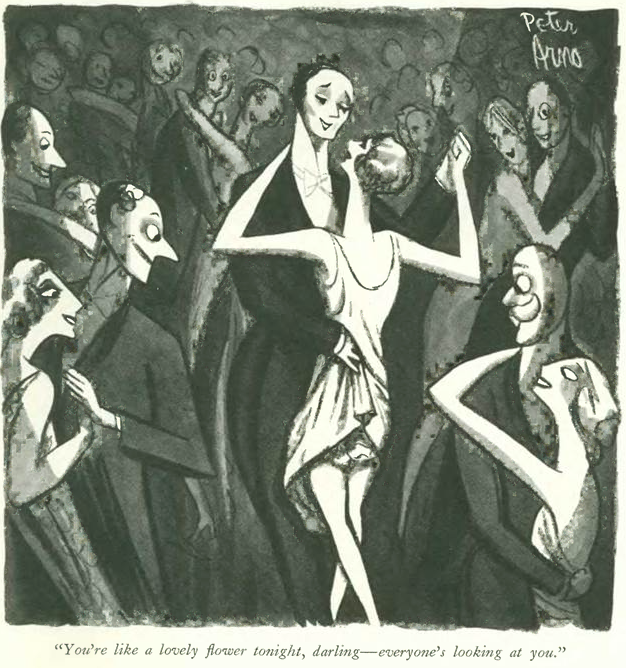 The singer, pianist and comedian would appear on many variety shows in the 1950s and 60s. 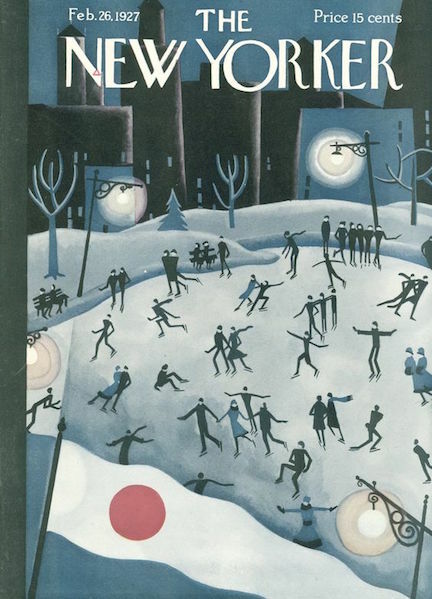 Although he died in 1980, today he is still known to audiences young and old alike thanks to his appearance as the narrator in the animated Frosty the Snowman (1969), which is still broadcast every year during the Christmas season and is distributed through countless tapes and DVDs. 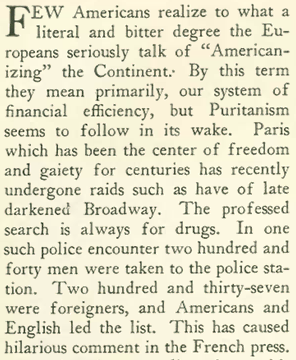 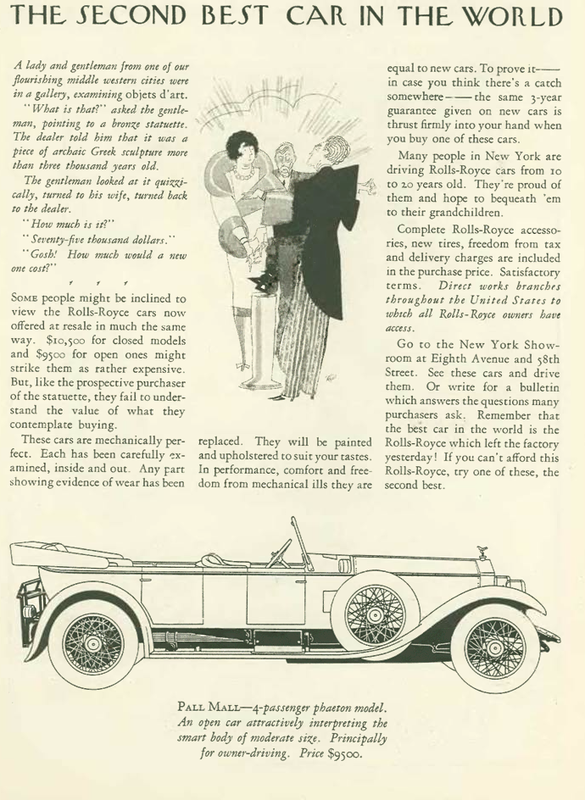 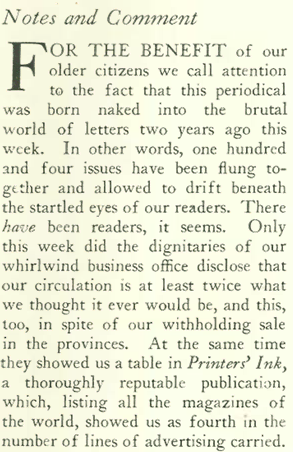 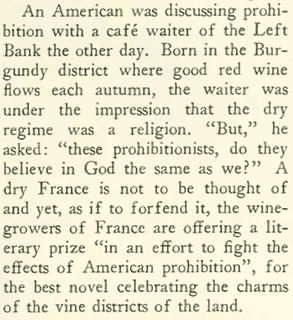 In her latest dispatch from Paris, correspondent Janet “Genet” Flanner offered New Yorker readers a glimpse into the French mind, its fear of “Americanization” and its perception of America’s Puritanical attitudes behind Prohibition. 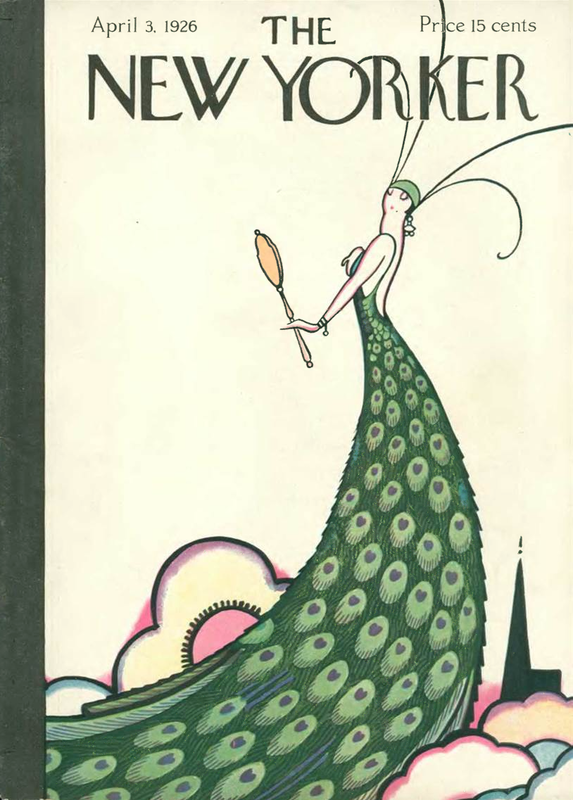 April 3, 1926 cover by Rea Irvin.